Mamie Stathatos-Fulgieri is a litigation attorney with over 25 years of legal experience. At the age of 16, she earned early admission into St. John’s University, where she received a B.A. in Government & Politics with a minor in English. She continued her studies at St. John’s University School of Law, earning her Juris Doctor in 1994. While in law school, Mamie was published and served as the Editor of the American Bankruptcy Institute Law Review. Following her graduation from law school, Mamie proudly served as an Assistant District Attorney from 1994 to 1998 with the Queens County District Attorney’s Office under District Attorney Richard A. Brown, where she prosecuted major criminal cases, including complex investigations and wiretaps involving high profile narcotics trafficking and gangs. In 1998, Mamie transitioned to civil litigation where she had defended actions involving personal injury, including premise liability, automobile and has represented physicians, nursing homes, and some of the largest medical institutions in New York. She actively participated in Grand Rounds at numerous hospitals in the major metropolitan area, organized various presentations for physicians, physician assistants, and nurses, including mock trials depicting significant issues in malpractice cases and lectures frequently. Since the formation of the New York State (NYS) Justice Center in 2013, Mamie has been at the forefront in defending mental health professionals targeted by the Justice Center. Under her leadership, VBPNP represents numerous mental health facilities throughout the New York metropolitan area in investigations and proceedings brought by the NYS Justice Center. 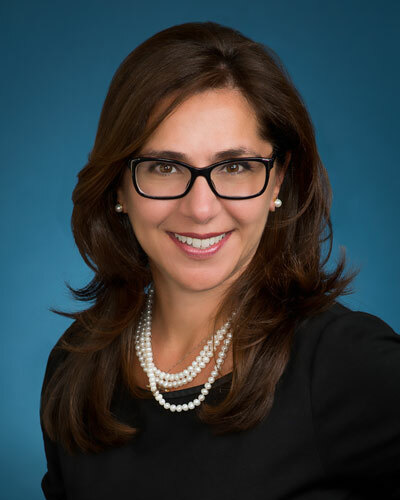 Mamie is a past president of the Hellenic Lawyers Association (2009-2011), currently serving on their Board; legal counsel to the Hellenic Medical Society of New York, and Chairperson on the Board of Immigration Advocacy Services, an immigration outreach agency in New York. Mamie also serves as Village Prosecutor in the Village of Roslyn Harbor, and has worked for several charitable organizations, including the DeRosa Foundation for Colon Cancer and the PKD (Polycystic Kidney Disease) Foundation. Mamie is married to Matthew Fulgieri and has two young boys. Mamie is admitted to practice in the United States Supreme Court, New York State and federal courts in the Southern and Eastern Districts of New York.